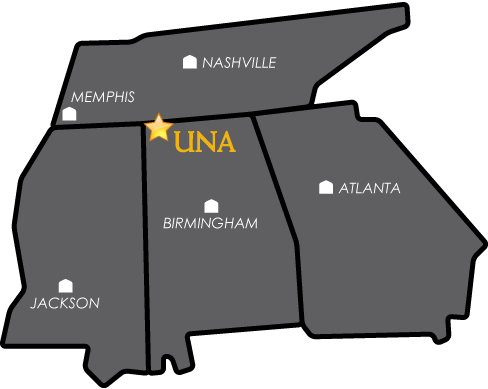 The University of North Alabama will conduct an Academic and Administrative Program Analysis during the 2016-2017 academic year. The purpose of this initiative is to gather information and engage in as much program and office level analysis as possible to guide decisions if new resources become available or to inform the institutional response during periods of curtailment. Documents pertaining to the process will be posted to this page throughout the year. For questions about the process, please contact Dr. Joy Borah, Acting Provost and Vice President for Academic Affairs (jsborah@una.edu), or Dr. Vince Brewton (vjbrewton@una.edu), Administrative Liaison for the Program Analysis. In consultation with stakeholders from the appropriate constituency groups, the following task forces have been created in order to conduct the Program Analysis in the respective areas.